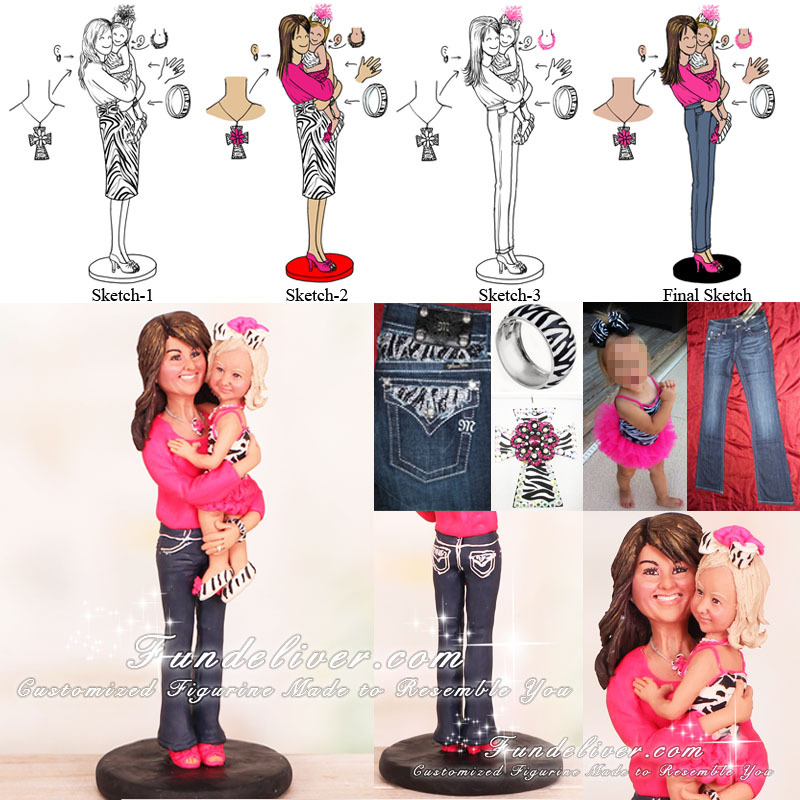 This is a completely customized Mom holding baby cake topper ordered by one of our customers. They would like the Mom to be holding her little girl, standing on a black round base. The child is in her tutu outfit with zebra hair bow. The Mom is in her pink shirt, blue jeans and high heels along with silver hoop earrings, a zebra bracelet, and a cross.